Our destination on the coast was Lincoln City, but we first stopped off at the Evergreen Aviation Museum in McMinnville, OR. It's the final resting place of the Spruce Goose, arguably the largest plane ever constructed. Its tailspan is wider than the wingspan of a B-17 bomber! I'll post some pictures later that show just how much it dwarfs the other planes in the hangar, but even by looking at the link above you can get an idea. The 300,000 lb. behemoth was the brainchild of Howard Hughes, an early aviation pioneer, and it was constructed largely of wood! The metal was all going toward the war effort (World War II), and the plane was originally intended to be a troop and material transport to Europe. Unfortunately, it wasn't finished until 1947 (decidedly after the end of the war) and so was flown only once by Howard Hughes himself. Here I also got to take a gander at a moon lander and a Russian capsule that brought some fortunate cosmonauts safely back to solid ground. I'll have to post a picture up of the moon lander, but it just amazes me how fake they look! It's like someone took a cardboard box, covered it in aluminum foil, and shot it into space with a hope and a prayer! Fun fact: the moon lander was constructed with the moon's gravity in mind which is 1/6th our gravity, so it is not actually capable of supporting its own weight here on Earth. We left the museum around 4 PM to drive on to Lincoln City for dinner. We were headed to Andaman Thai Cuisine, the family restaurant of fellow Drupaller Ben Kaplan. He and I were supposed to room together for the Boston Drupalcon, but it fell through. We still got to meet and hang out a bit, and he extended the invitation to visit his restaurant if I was ever in the Portland area. Neither of us realized it would be so soon, but we were excited at the opportunity to hook up and cross the Drupal world with the family world. Very fun indeed. First of all, you must believe me when I say that Ben and his family are incredible hosts. His mother sees herself as an ambassador for Thailand, bringing not just food but experience to folks who may never get to experience is directly. Her restaurant, presentation, and personality make her the perfect ambassador, and Ben and his father are more than supportive of her in this endeavor. It was a pleasure just to meet them and visit for the time we were there, so much so that we chatted away the final daylight hours and didn't make it to the beach. The trip to the coast really was worth the dinner alone, so we weren't disappointed. They started us off with a couple of appetizers, though I can't remember the names. One was a fresh roll of tapioca paper filled with rice noodles, tofu, and some veggie/herb. We dipped that in some extra yummy peanut sauce and enjoyed. Next was some (green) chicken that was just as scrumptious and plenty covered in peanut sauce. I didn't know I'd love the stuff so much, but it's essentially a warm, super creamy peanut butter. Dad also had some pomegranate ginger iced tea that he really enjoyed. Dessert was two yummy dishes. One was a coconut sticky rice with mango, and the other (my fav.) was a warm, pink tapioca pudding in coconut milk. Apparently I love anything in coconut milk. The desserts were super yummy and eaten with appropriate smiles and belly rubs. We conversed for a little while longer before heading out, every one of us sure that we'd just eaten one of the most incredible meals of our lives at a charming little Thai restaurant. We wish the Andaman Thai Cuisine well and will most likely be visiting Lincoln City for some Thai food again in the future. At first I was planning on blogging every night of my vacation. Obviously I missed last night so that's a wash. Really it's just a ploy to have enough material to write about. I'll start with Saturday morning. Honolulu has a place with a famous recipe for banana pancakes and macadamia nut sauce. It's a tiny, hole-in-the-wall kind of place called Boots & Kimo's. There are about 6 or 7 tables, and there's usually enough people there that they need to take your order outside before they find a table for you. This is more than made up by the sheer delight that is the pancakes. I've been keeping a list of foods that I expect to find in Heaven. These were just added. For the afternoon, we were taken to the Bellows Air Force station. During the week, the beaches are closed for maneuvers, but on the weekends, half the beach is open to the public, and half is open to military personnel and their guests. John's brother-in-law is in the Air Force, so we got to be on the military side. I've been to the Atlantic Ocean and the Gulf of Mexico before, but neither of them were the brilliant turquoise that the Pacific had this day. Several good pictures were taken, and you can find some of them here. Sunday we went to church with John's family. The band played a couple of old praise songs I knew, and a couple I'd never heard before. The sermon was on the letter to the Church in Ephesus found in Rev. 2:1-5. This is the passage saying that the church had done good works, but had forgotten the love that they had had in Jesus. I've been feeling convicted lately that I've been really selfish lately, not spending time developing my relationship with the Lord like I should, and this really hit home for me. I thought that it was ridiculous of me to be looking for a wife, a woman to share my life with, when I'm not even pursuing the relationship I have with the God who saved me. To do something about this, I'm going to try to find time to spend in prayer. It's something I've known I needed to do for a long time, but I never was motivated enough for some reason. Busy schedules and an overabundance of entertainment tend to crowd spiritual things off the schedule. No more. At least for tonight. Who knows how committed I'll be tomorrow? A couple days ago Ryan suggested that I should start blogging here. That sounded reasonable, and now that I'm on vacation, I feel like I've got stuff to talk about. The count right now, is that I've been up for just over 23 hours. I woke up at 5 this morning to gather the travelers and catch the flight out of Louisville International at 7:30. After some connecting flights to Chicago and Los Angeles, we finally arrived in Honolulu at 4:30 Hawai'i time. For those of you keeping track at home, that's a 6-hour time difference. In short, Hawai'i is amazing. As was recently said, "it's like someone set the thermostat outside to 'perfect'". Used to a long Louisville winter, I couldn't agree more. Of course, the locals say they think it's kind of chilly, but that's their prerogative. Even after dark, it's still a pleasant 70-something degrees. Despite how late it felt, we went to the Tsukiji Fish Restaurant and Bar. This was my first experience with sushi, much less buffet style. I'm sorry to say that I wasn't that impressed. I like to think I'm an adventurous individual, and I did try several different kinds of fishy delicacies. But none of them were really something I'd care to eat again. However, the highlight of the meal was when I got the Hawaiian shaved ice. They had listed several different flavors: vanilla, strawberry, orange, melon, condensed milk, ... azuki beans. OK, condensed milk is a strange snow cone flavor, but what are azuki beans? I decided I wanted melon, but I meant to ask the lady making the dessert, "What are azuki beans?" in case I wanted them. I said it a couple of times, but she must have decided I wanted orange with azuki beans. I didn't want to be rude and just refuse it out of hand (remember, I'm adventurous), so I accepted the offered condensed milk that was drizzled on top. Azuki beans are a lot like black beans. Not in flavor, but in texture, if they were mashed a little. I got the feeling earlier that azuki beans don't really go with orange flavoring. I was right. Melon is a better fit, but still not great. Kind of like raw fish in general. <img align="right" src="http://www.bywombats.com/files/uberbadge.gif" style="margin: 0em 0em 1em 1em;">After a lot of work from the development team and community, <a href="http://www.ubercart.org">Ubercart</a> has decided to stand on its own two feet and <a href="http://www.ubercart.org/news/apr-02-2008/ubercart_moving_release_candida... its candidacy</a> for a 1.0 release. We're excited about Ubercart's non-partisan politics and history of improved e-commerce sites, but several pundits are worried about his lack foreign policy experience. Don't let them dissuade you! There was a time when Ubercart survived a DDoS attack as fierce as any sniper fire when deploying on a non-profit website in Bosnia. Yes, Ubercart wants you to believe in the fierce urgency of now. <em>Now</em> is the time to update your existing sites to the <a href="http://drupal.org/project/ubercart">latest release</a>. <em>Now</em> is the time to <a href="http://www.ubercart.org/forum">post</a> your feedback and <a href="http://drupal.org/project/issues/ubercart">bug reports</a>. 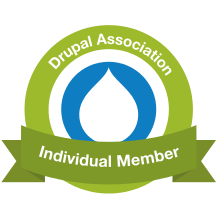 <em>Now</em> is the time to polish up this release so we can dream of a better future on Drupal 6 and beyond. Feel free to read more if you want some of the details. Our initial alpha release was made over a year ago, and the switch into betas was long in coming. We started posting betas on January 7th, and through the help of a very responsive, knowledgeable, and excited community, we're finally at a state where we feel confident putting up a release candidate. This does not mean Ubercart is feature complete for everyone... as we've learned through the process, there's just so much people expect from an e-commerce suite that you can't do everything! Sadly, a release candidate doesn't even mean the features there don't have a few bugs left to be massaged out. Fortunately, that's where you and our large and growing user base come in. You are essential to helping us isolate problem areas, apply fixes, and make Ubercart even easier to use.